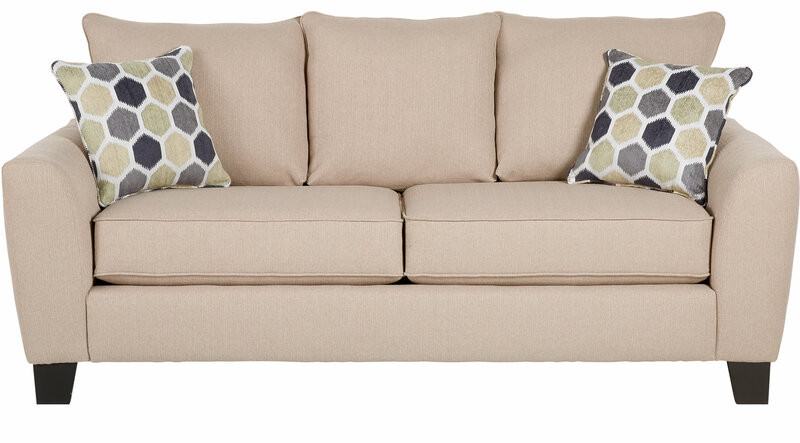 Soft beige chenille covers the Bonita Springs Sleeper Sofa. Loose back pillows and reversible cushions are featured along with welted details, wedge arms, and tapered legs. Pulls out to a queen sized bed for over night guests.